ZIMBABWE – Approximately 50 000 cases of diarrhoea have been reported in Zimbabwe in 2016 alone, with 30 deaths resulting from the deadly epidemic, the country’s ministry of health and child care has revealed. According to New Zimbabwe, the health ministry disclosed that 48 843 cases of diarrhoea had been recorded since the beginning of 2016, with 10 604 of these having been reported last week, along with 8 deaths. Director of Epideminology in the ministry, Dr Portia Manangazira, also said on Friday that 312 new cases of suspected typhoid were reported last week, with one death having been reported. 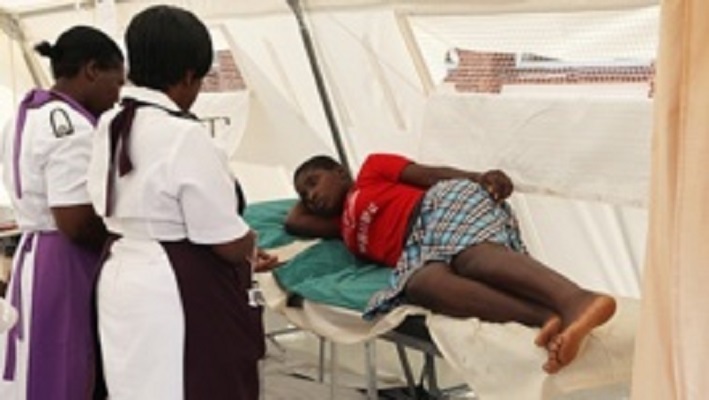 The revelation comes just one month after reports indicated that a deadly outbreak of typhoid fever had hit the country’s capital, Harare. According to a report by the International Business Times, six cases of the disease had been reported by the end of January, with many more being expected. Typhoid, which is spread through poor water and sanitation, has plagued the southern African nation for years and has shown little sign of being stemmed. The spread of the disease has also been reported to be exacerbated through the preparation and selling of food in undesirable and unsanitary conditions. Close to half a million deaths occurred in Zimbabwe in 2012 due to diarrhoea, according to All Africa, a large number of which were children under the age of 5.